MSNBC had a banner year in 2012, seeing a 20 percent increase in ratings overall. The boost was fueled, undoubtedly, by the 2012 presidential campaign, but there was another major factor: Black viewership. The cable news channel announced that its already robust Black audience increased by 60.5 percent to 284,000 in 2012 from 177,000 in 2011, and now comprises 31.4 percent of their total audience. Among Black viewers, MSNBC outshined its major competitors: CNN saw a 23.7 percent increase (to 162,000 in 2012 from 131,000 in 2011) while FOX News saw a 23.7 percent decrease (to 29,000 in 2012 from 38,000 in 2011). “I think we made a commitment, we decided, that in order for this channel to succeed, that we had to reflect the country. This meant that we had to be part of the country in ways that the other channels weren’t,” MSNBC President Phil Griffin told Mediaite.com. 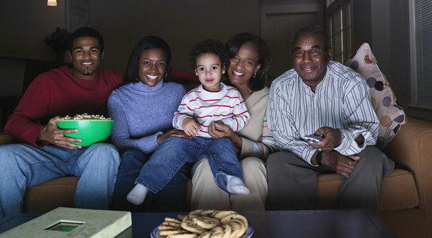 Black viewers were likely drawn by the channel’s progressive approach to current issues, but also by the “look” of the network. The array of diverse on-air talents includes hosts Tamron Hall, Touré, Melissa Harris-Perry, and Rev. Al Sharpton, and contributors such as Joy Reid, Goldie Taylor, Karen Finney, Prof. Michael Eric Dyson, former RNC Chairman Michael Steele, Eugene Robinson, and Jonathan Capehart. That diversity was not calculated solely to increase numbers, Griffin added, but was a natural outgrowth of the channel’s core philosophies.